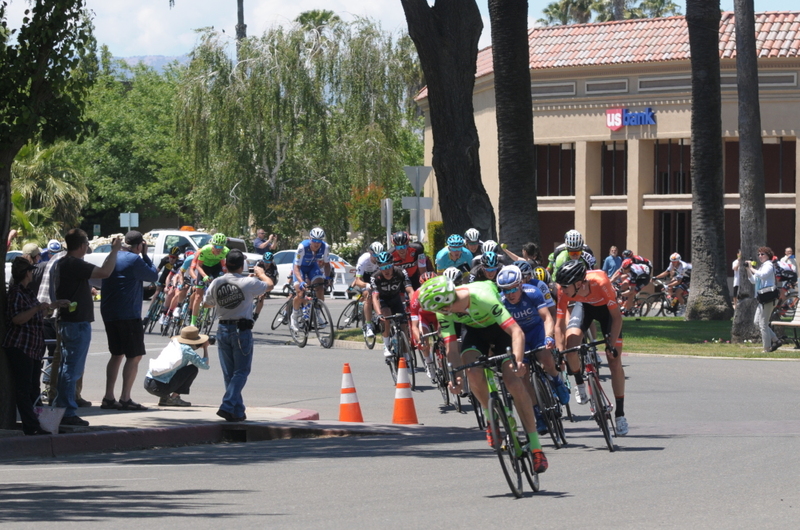 The Amgen Tour of California sped through Patterson once again Monday for Stage 2 between Modesto and San Jose. 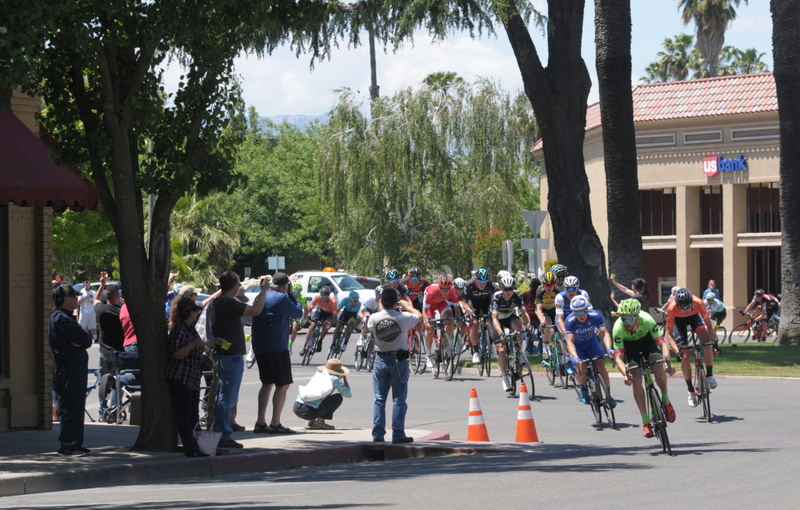 The best competitive cyclists from all over the world rolled west along East Las Palmas Avenue before going around Plaza Circle, exiting onto Highway 33 via Salado Avenue. Cyclists then rode south on Highway 33, turning right onto Sperry Avenue in front of Thompson's Chevrolet and around through the heart of south Patterson. 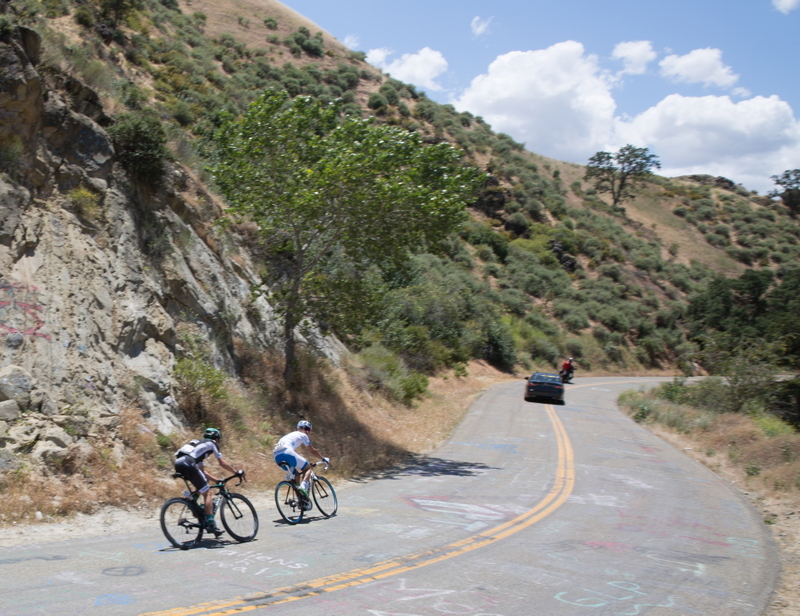 Racers rode Sperry Avenue all the way into Del Puerto Canyon where they turned towards their San Jose terminus at The Junction. A collection of area photographers' photographs are featured below with footage from Troy McComak at Poplar and East Las Palmas; Elias Funez and Heather Vasquez in downtown Patterson; Erlinda Elvira and Rhonda Childers at Graffiti Rock in Del Puerto Canyon; Lucie Field, George Crawford and Kelly Crawford in the San Antone Valley of Santa Clara County. The City of Patterson will seek to impose fines on anyone unlawfully establishing a commercial cannabis business, either recreational or medical, upon their second reading of Ordinance 800, which defines fines and penalties regarding the City ban on Marijuana, slated to be voted into effect during tonight’s March 21 City Council meeting. The passing of Proposition 64 in California, the Adult Use of Marijuana Act (AUMA) provides for the state to use the year 2017 to formulate the details of the law in reference to AUMA. 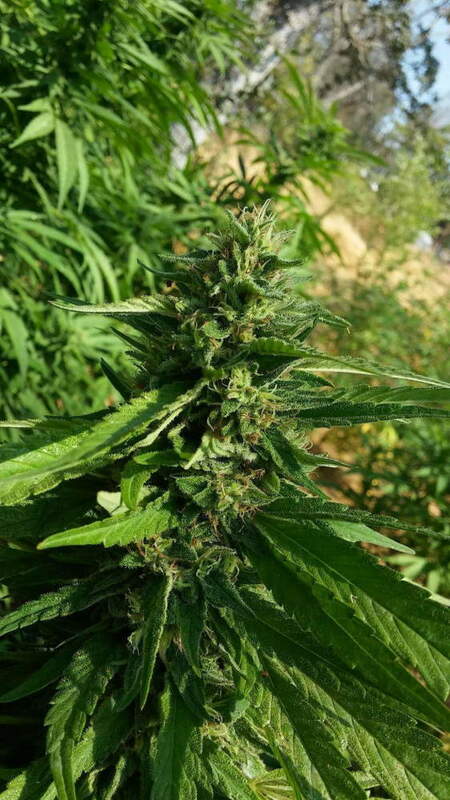 While other cities are waiting to see the outcome of those regulations, Patterson has decided to precede those decisions by adding this ordinance to their list of very restrictive cannabis ordinances within the city. This decision raised some suspicion by at least one member of the public, who spoke up at the last council meeting. “To me this is a foreshadowing of how you all feel already,” Monica DellaMajorie said to the council members, who rejected that sentiment. “We’re being very proactive, don’t come to the city of Patterson and establish a dispensary,” Mayor Deborah Novelli said. “Regardless of state fines, the City has the authority to impose fines under its police power because the fine constitutes a reasonable cost necessary to regulate commercial marijuana activity,” the City’s staff report reads. That person is no longer operating within the city. “We’re trying to go through the workshops to determine how we can do this,” Councilman Dennis McCord said. The city is currently planning on holding two workshops on the potentiality of establishing a cannabis dispensary within city limits. The first workshop is scheduled on the evening of March 28, the time and date for the second meeting has yet to be determined though it is likely to be held on a weekend day. 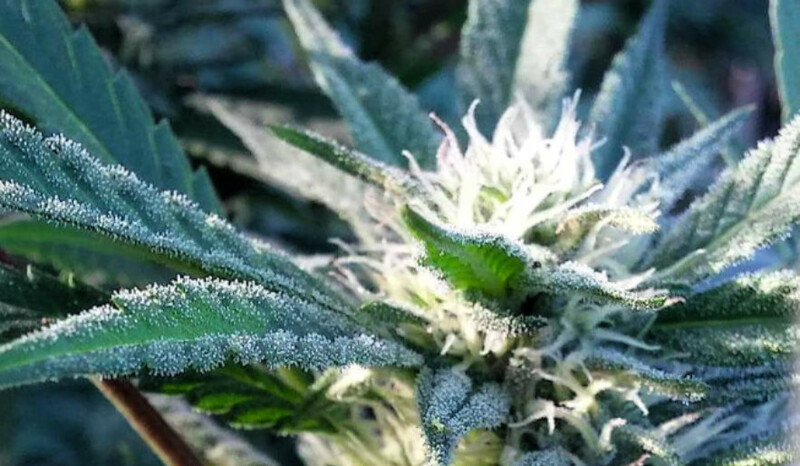 James Leonard, a former Patterson Irrigator newspaper editor and current school board member questioned the tone of the ordinance despite the coming cannabis workshops. 1)Any violation of the ban is punishable as a misdemeanor. 2) Ban applies to any of the business owner(s), employee or owner of the property as being liable for the offense. 3) Ban is subject to existing code enforcement actions already in place. 4) Any person found violating the ban, is prohibited from ever obtaining a business license for a commercial marijuana related business if the city ever removes the ban. ($2,500) for the first offense. ($3,500) for the second offense. ($5,000) for any subsequent offense. Total 2,455 yes votes, to 1,881 no votes. A peaceful gathering of about 30 protesters descended upon downtown Patterson Thursday evening November 10, to stand united in peace and denounce President Elect Donald Trump's racism towards the nation's minorities. Most of the peaceful protesters were millenials, some of which were too young to be able to vote in the previous Presidential Election, while others were first time voters. Some older folks stopped by the protest to see what all the hype was really about over social media, and made sure that things were not going to be violent like in other Donald Trump protests around the country. A Stanislaus County Sheriff's deputy had quietly walked behind the crowd as they were gathered in front of City Hall and left shortly thereafter upon seeing that the crowd was not going to be a threat to people or property. Many gawked from their vehicles as they passed by, slowing to take photos and videos from their cell phones, while others showed support by honking their horns and cheering as they drove by. An occasional Donald Trump supporter would drive by shouting obscenities at the crowd, but the crowd was unwavered in their stance against hatred. A facilitator of the anti Trump movement brought blank signs and markers down to the circle before mysteriously dissapearing. Those in attendance quickly began making their own signs, some of which read. Peace and Unity, while others read, He is not my President. The crowd began their demonstration in front of the Historical Society Museum before utilizing the light in front of City Hall to be seen better, then eventually moved back to the Plaza Circle. 18 year old first time voter Fadumo Shuaib made the initial call to the folks of Patterson through an event created on Facebook titled Trump Protest #PattersonProtest. The young Patterson resident's ethnicity is half African American, and half Somali, and she feels threatened by Trump being elected as the 45th President. "I'm just against the fact that he's going to be in the White House but the reason he won was hatred," said Shuaib. "By protesting we're trying to show love." Kinisha Campbell, one of the older participants in the peaceful gathering and resident of Patterson for the past 12 years was disappointed with the election across the board and is concerned about President Elect Trump. Her greatest concern is in the area of race relations and health care. Cynthia Boenig was one of the younger particpants and although she didn't vote, she said she would have leaned more towards voting for Hillary and not a 3rd party candidate. "Unfortunately I was irresponsible," Boenig said during the protest due to the fact that she was elligble to vote by 3 days, yet didn not register to vote. In future elections, Boenig doesn't plan on being irresponsible with her right to vote. Planning Commisson chairperson Ron West stopped by briefly to show support, but was not happy with the protester who was holding a Mexican Flag. "I'm not ok with that," West said. Others from the community that showed up included James Leonard, who brought his children that wanted to be a part of the peaceful demonstration. Juanzette Hunter as well as Amy Hussar and her family also came downtown to join the crowd. 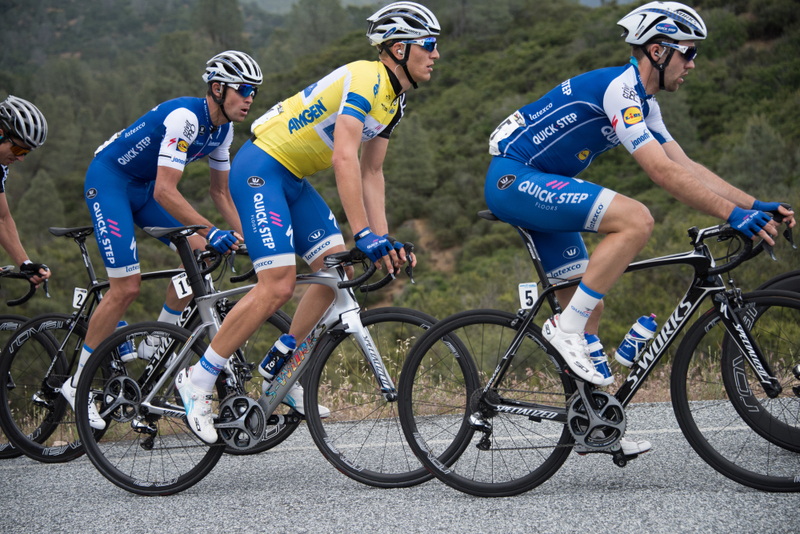 AMGEN to Tour Patterson again? AMGEN Tour of California officials recently revealed the host cities for the 2017 Tour of California to take place May 14 through May 20 next year, and all signs are pointing that the race will travel through Patterson once again as bicycle racers from around the world will traverse the challenging Diablo Range between Modesto and San Jose. 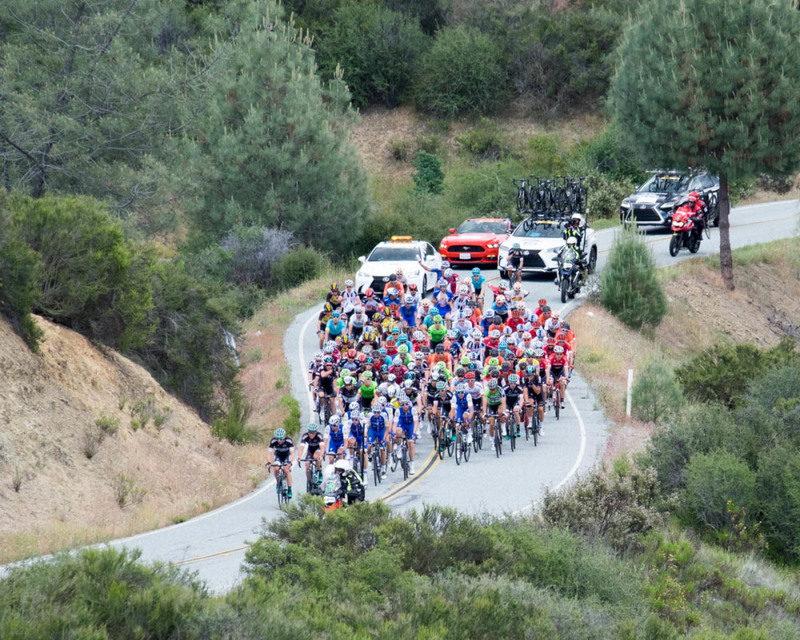 While a press release made by AMGEN officials November 2 officially unveiled the host cities, racing schedule, and an overall map depicting where in the state the overall race will be, an exact route has yet to be released, and likely won’t be until January or February of next year. 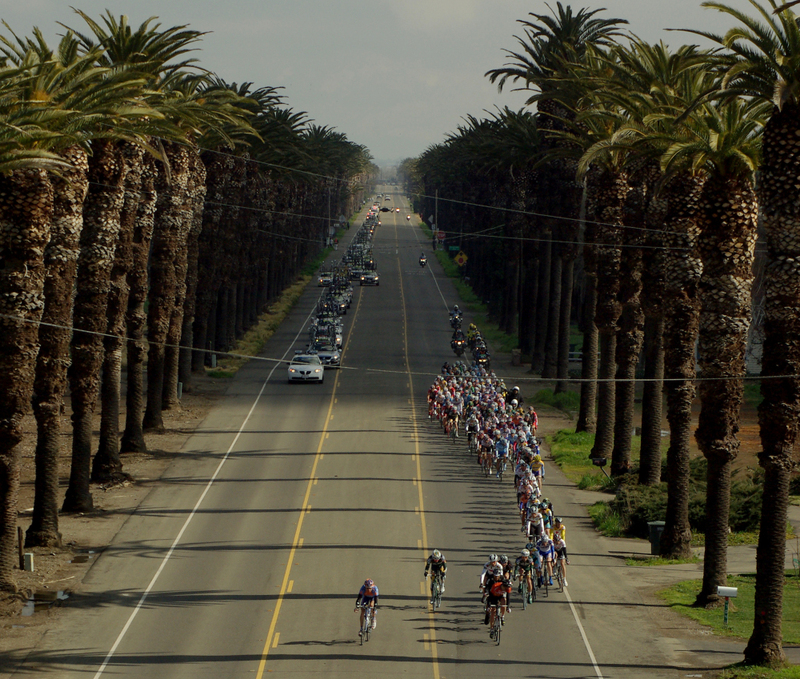 One thing is for certain though, that host city Modesto will be the start of Stage 2, and San Jose, directly west of Modesto as the crow flies, will host the stage 2 finish, much in the same manner as was done during the 2008 Tour of California’s Stage 3 which started in Modesto and finished in San Jose. 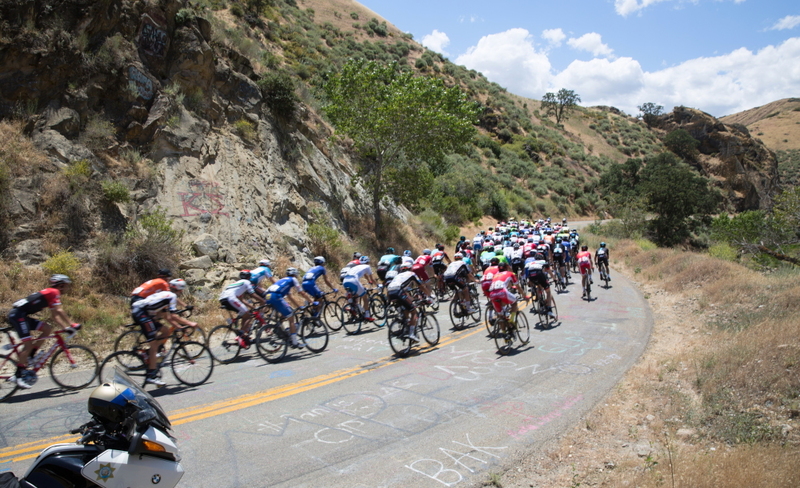 “Everything is still in the planning stages,” Cassandra Zebisch, a spokesperson for the AMGEN race and AEG worldwide said Friday when asked of Stage 2’s possible route through Patterson and Del Puerto Canyon en-route to San Jose. While it is typical of race organizers not to release the specifics of the route until late January or early February before the race, the details of the November 2 press release give more insight to the terrain of Stage 2. 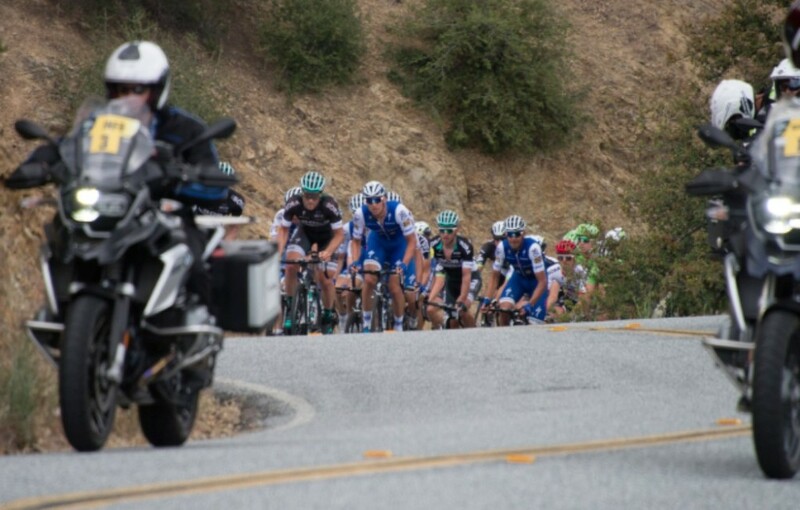 “This will be a difficult mountain stage with six climbs and an uphill finish,” the press release states. 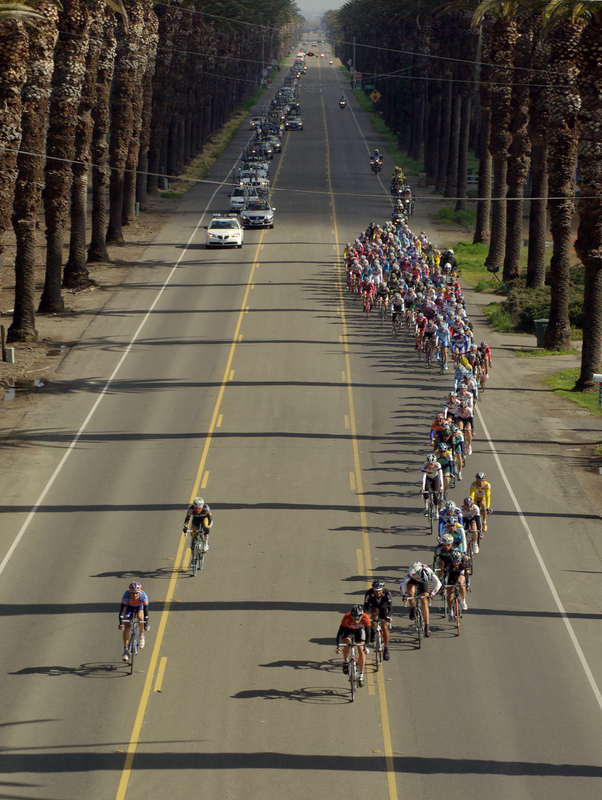 During the 2008 Modesto to San Jose Stage 3, racers barreled straight through downtown Patterson along Las Palmas and Sperry Avenue before entering Del Puerto Canyon Road to the west of the city, before taking riders over 4,360’ Mt. Hamilton and down into San Jose. 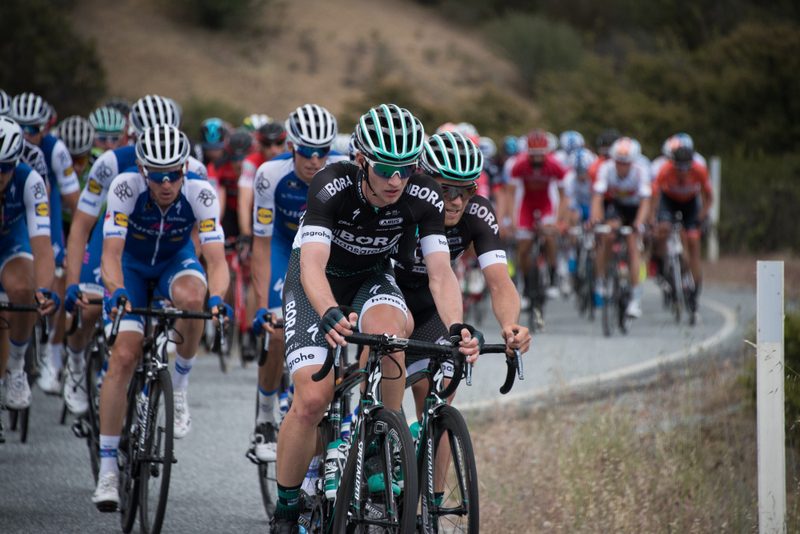 This leg of the race was extremely difficult for riders and this stage changed the makeup of the race forcing the leader at that point of the race to bow out of the Tour entirely. 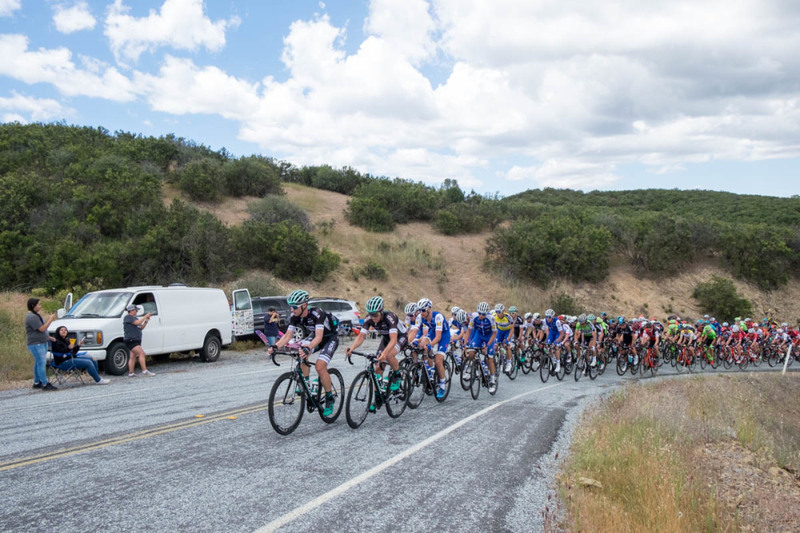 It was the first time that the Diablo Range was traversed in the Tour of California and seemed to make race organizers think twice about using the same route in the years that followed. 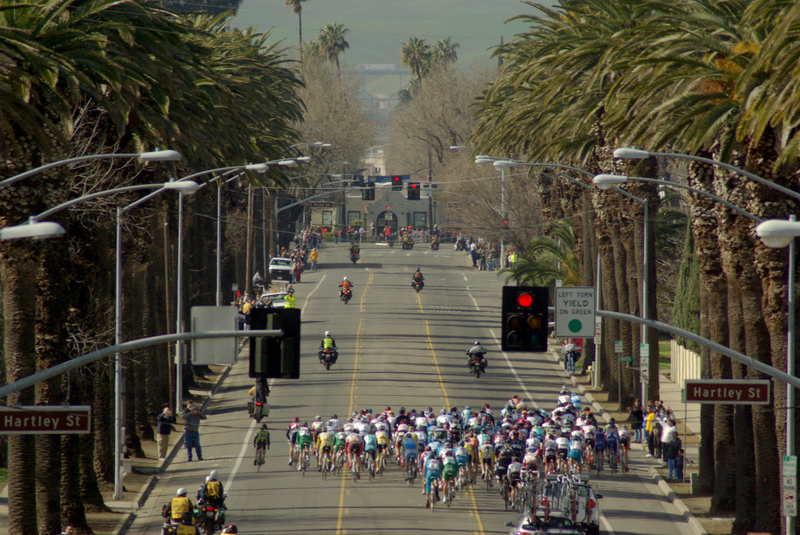 2009 host cities included Modesto and San Jose again, but roles switched as San Jose hosted the beginning of Stage 3 and Modesto held the finish, however, the race route chose to bypass Mt. Hamilton, Del Puerto Canyon, and Patterson entirely by traveling up Sierra Road en-route to Livermore, and then from Patterson Pass down in to Modesto. 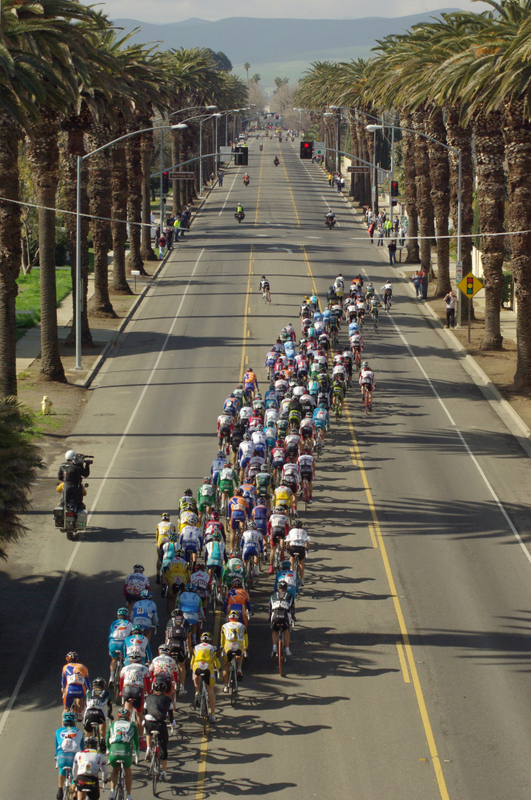 2010 host city San Jose was the start of Stage 4 that led riders to Modesto once again, however this time, Del Puerto Canyon and Patterson weren’t left out of the route during a year that brought Lance Armstrong himself as a competitor in the Tour before a Stage 5 crash that forced Armstrong to quit. 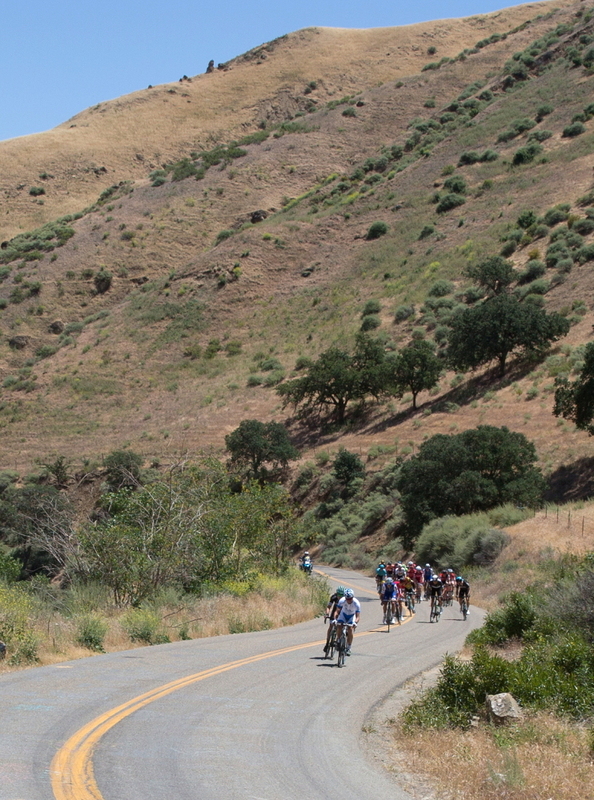 2014 host city San Jose once again led racers into the Diablo Range and for the first time up the steep east slope of Mt. 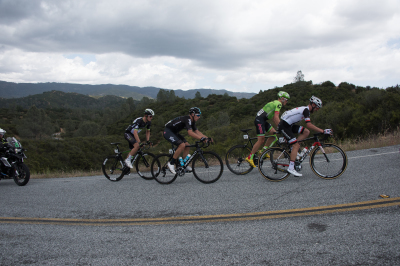 Hamilton during Stage 3 before dropping down into the San Antone Valley and Mines Road through Livermore en-route to a Mt. Diablo finish, and was the closest that the race has been back to West Stanislaus County since 2010. 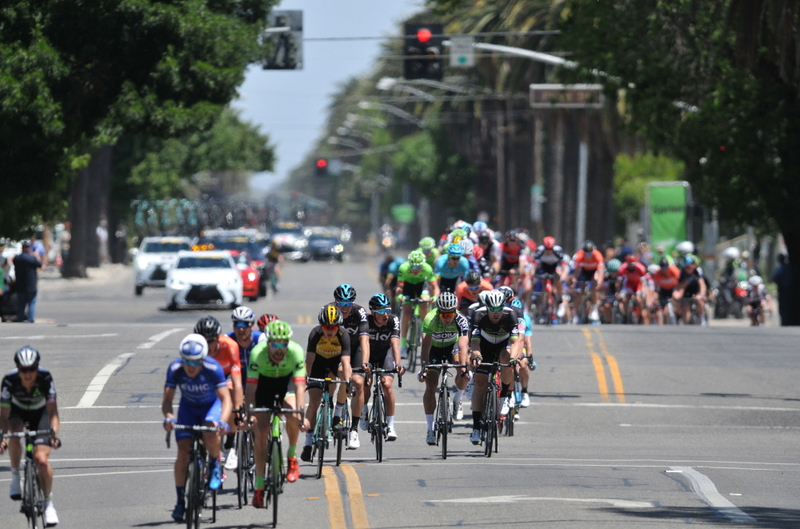 The first stage of the 600 mile 2017 race will begin in Sacramento and the final 7th stage will take place in Pasadena in Southern California. 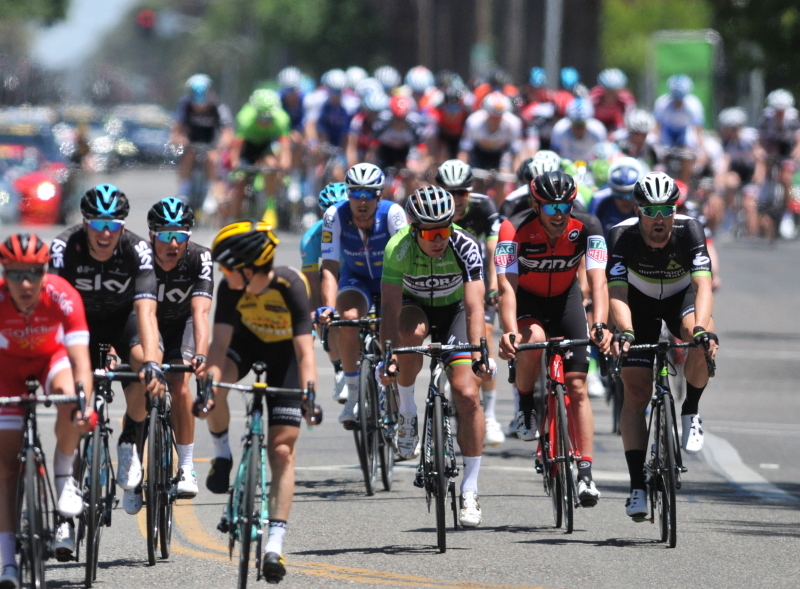 The 2017 Tour will be stepping up this year’s competition unlike any prior race after Tour organizers elevated the race to a World Tour designation, which means more elite international racing teams will be required to compete in the AMGEN Tour of California. 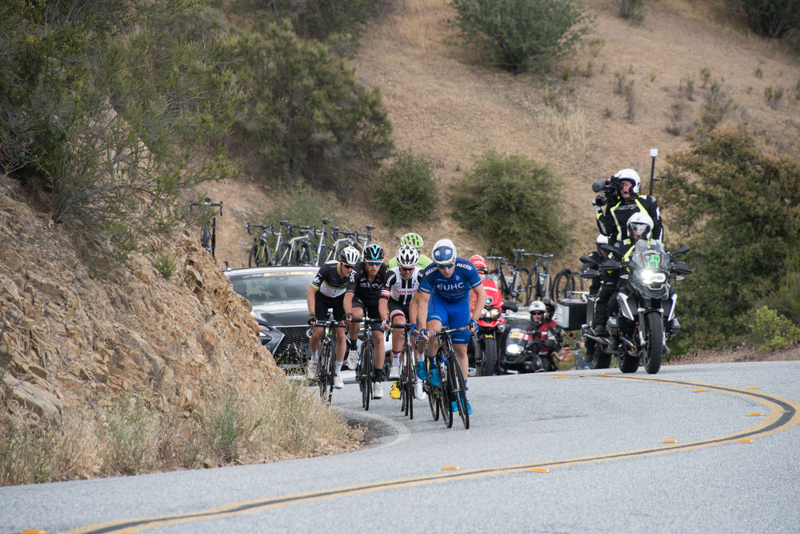 With the elevated level of competitiveness coming to the 2017 Modesto to San Jose Stage 2 route, one might think that it may be time to test the riders with 4,360’ Mt. Hamilton once again, however we will just have to wait until the complete Stage 2 details are released next year. However, race organizers have already eluded to the strenuous nature of Stage 2. 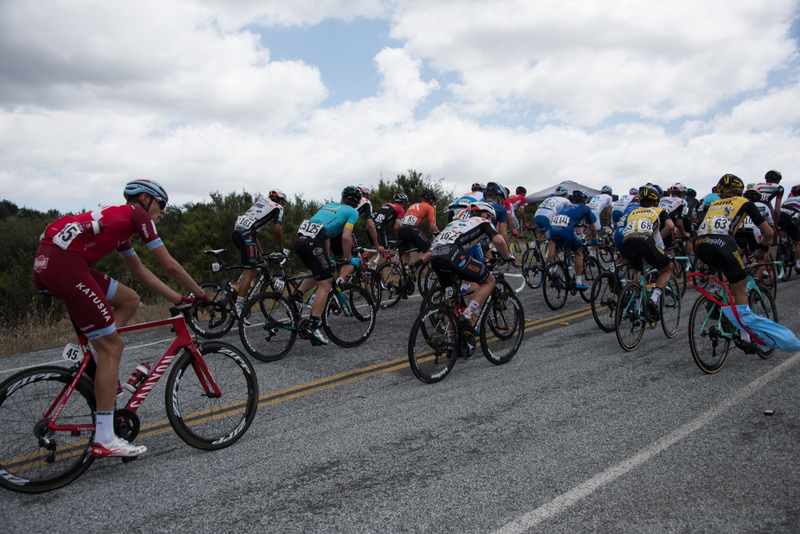 “Fans can expect all of the race favorites to be in the top 10 on the leader board after the conclusion of this stage,” the press release read. 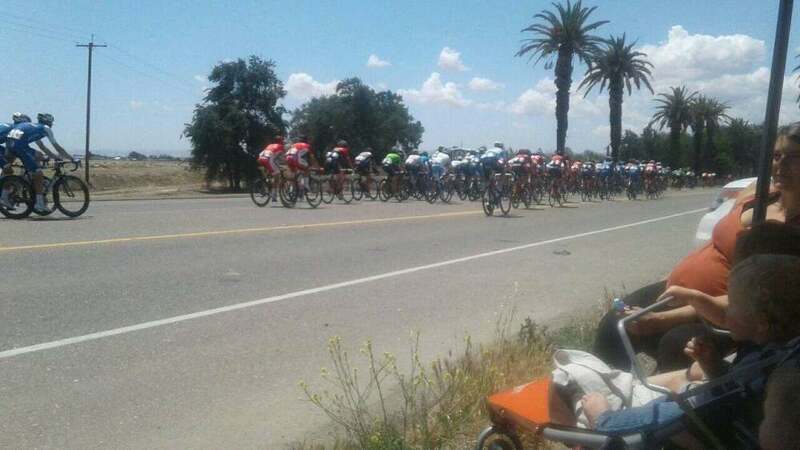 So during the past three Tour of California’s where host cities Modesto and San Jose have shared the start/finish, 2008, 2009, and 2010, two of those times the city of Patterson became an unofficial host city as well. 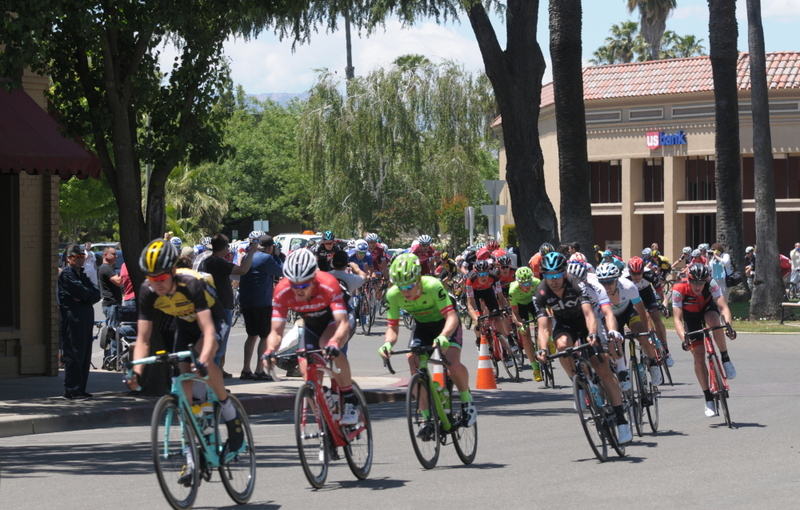 With the recently released official host city and racing schedule announcement that shows a direct line drawn between Modesto and San Jose as a general route, it seems that Patterson has a good chance that it may catch a glimpse of the 2017 Tour of California on Monday May 15, though we will have to wait and see. 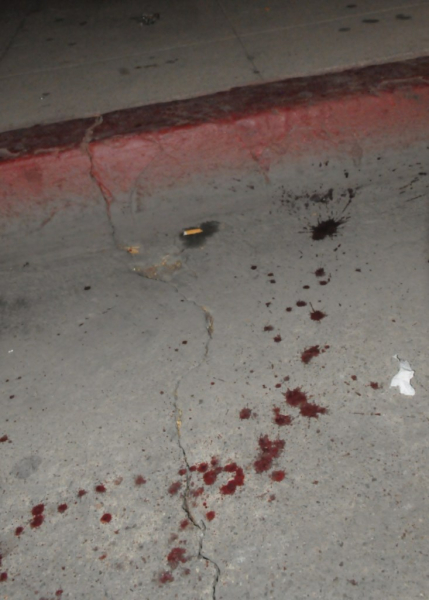 Coroner’s crime scene tape blocked the 0 block of South 3rd Street and flashing lights filled the night sky of downtown Patterson after a bloody knife fight sent two to the hospital early Saturday morning Sept. 10. The incident, which began inside of the popular downtown bar and night club, La Estrellita, poured out onto and across 3rd Street while chairs from within the establishment were seen flying in the air as they were thrown during the fracas, according to a witness at the scene who wished to remain anonymous. 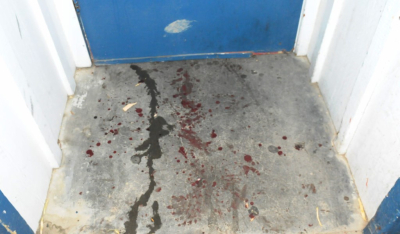 A trail of blood could be seen leading out of the entryway of the bar and in to the street less than a block away from where hundreds of locals and their families experienced the City of Patterson’s Movie Night and Skate the Circle in North Park only a few hours earlier. Attendees praised the positivity of the event and that the lack of police presence during the event was welcoming to the downtown. Little did they know that every available Sheriff and first responder in the area would later be called to the downtown for a stabbing incident. Patrons from the Frontier Club a few store fronts down, who had witnessed the scene, gave statements to Sheriff’s deputies while other deputies documented and collected evidence from the scene. “I think they found the knife,” one person who also wished to remain anonymous, reported at the scene. The condition of the victim(s) is currently unknown as well as if any arrests have been made in the case or not. A statement by the Stanislaus County Sheriff’s department on the matter had not been made available as of press time. 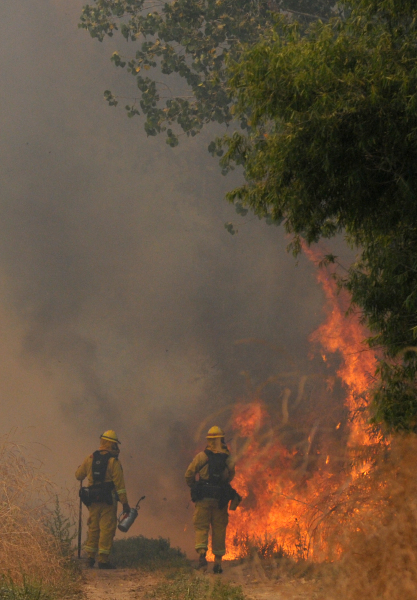 A vegetation fire that started Sunday afternoon on the edge of the San Joaquin River and the town of Grayson is now burning into its fourth day but firefighters have estimated the fire at 90% containment and believe it will be going out soon. 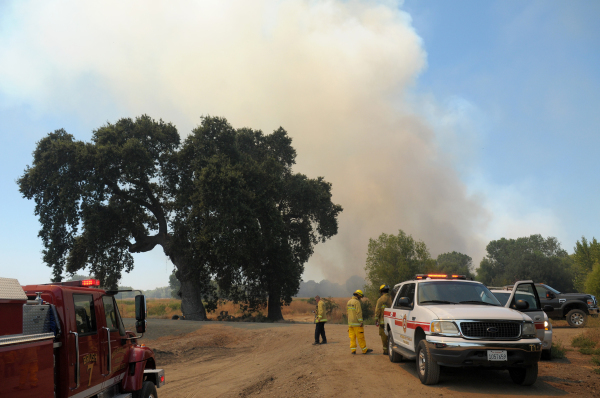 "We stopped it from going south, stopped it from going east, now we're just monitoring it out there for a while," Patterson and West Stanislaus Interim Fire Chief Jeff Gregory said Wednesday afternoon. 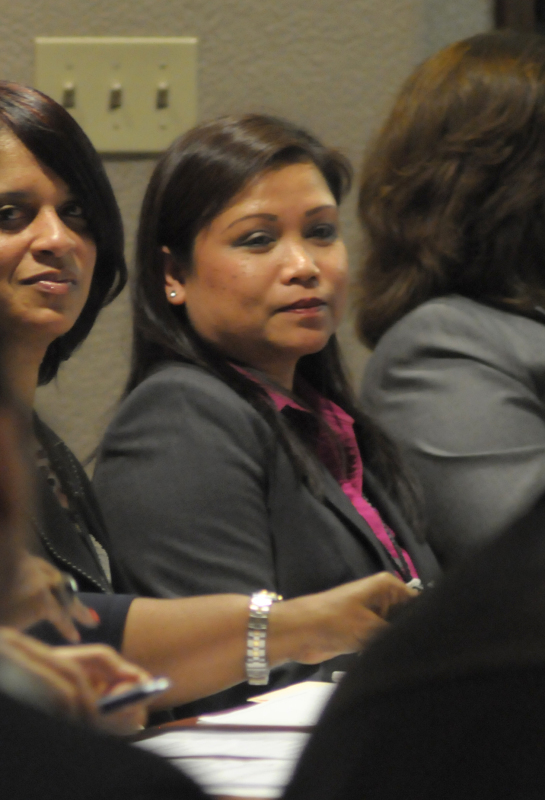 "What we did yesterday was 100% effective with what the purpose was." 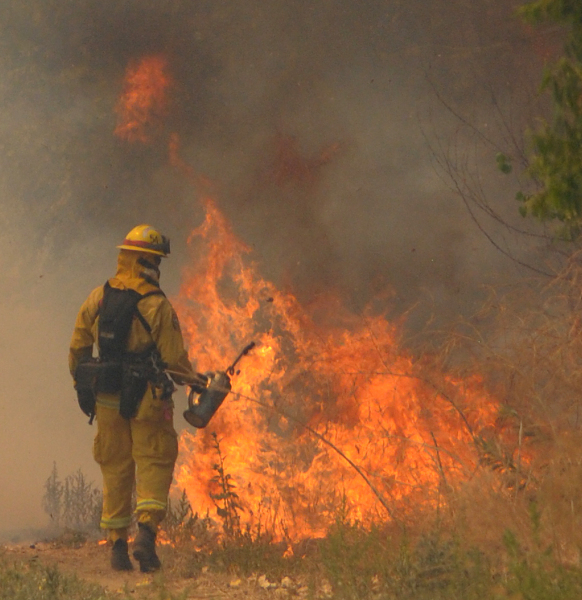 Local fire crews spent much of the day yesterday conducting burnout operations and back burning swaths of dense vegetation in order to exhaust the wildfire's fuel before it gets a chance to burn it. Even though the majority of the fire is out large burning stumps called 'snags' and 'widowmakers' will continue to smolder for the next few days. 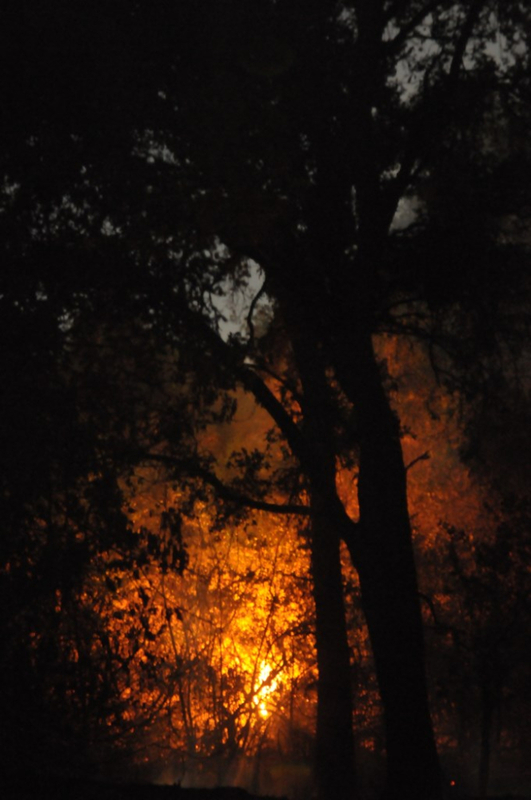 Monday and Tuesday night the forest floor was alive with the sound of burning, crackling wood, and the crashing of large limbs falling through to the ground, which at least one of the firefighters described. 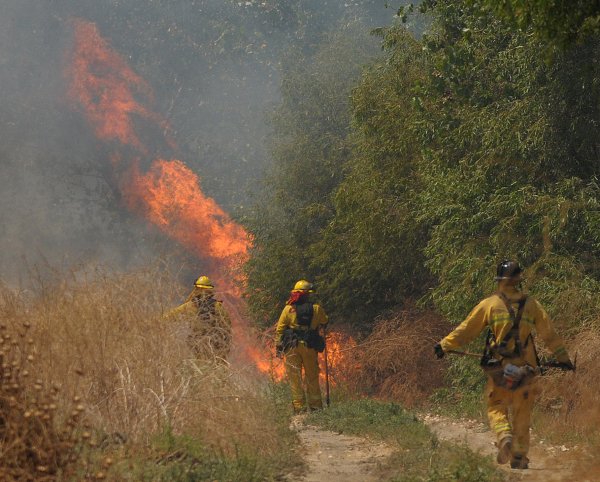 Besides the threat of fire and snags, the terrain of the San Joaquin River near Grayson is dangerous as well. 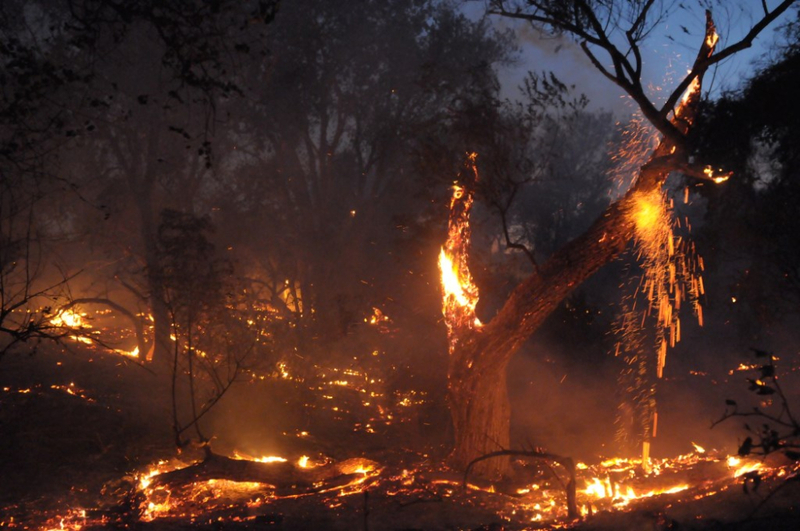 "Where the fire is burning used to be the path of the river, so it's unpredictable, you can't drive out there, [the] ground is all covered, don't know where you're walking," Gregory said. Due to the challenging situations, both man and machine took on some damage while working on the fire. A couple of heat exhaustion injuries as well as a twisted ankle were sustained by the local crews, while a second engine was damaged, the other during one of the other previous wildland fires in the Grayson area. "It's very dangerous out there," Gregory said, adding that the threat of a 'widowmaker' falling could exist out there for months. 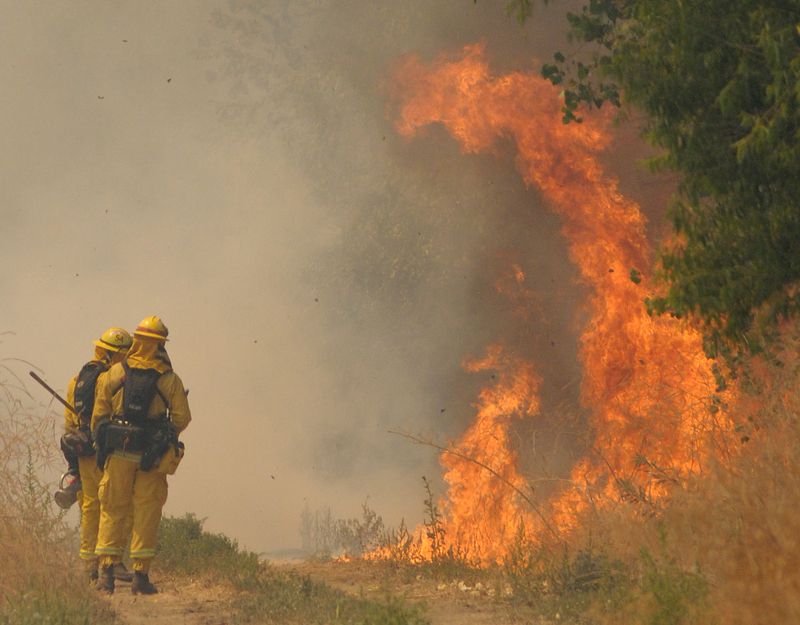 The fire that started on the edge of Grayson Sunday afternoon, and has already burned more than 200 acres in the thick jungles of the San Joaquin River, continues to burn today and is expected to challenge the firefigthers that battle it. After working at the fire all through the night, crews are now utilizing the relatively calmer part of the day to conduct burnout operations in order to best prepare for the windier latter part of the day when the fire is expected to pick up again. Burnout operations allow the firefighters to set up hoses and lines around unburned sections of fuel, burning them ahead of time, that way when or if the spot fires pick up later in the day, they will have less to spread flames to. Getting in early though is key for the fire crews since the brush is so dense and dry that seemingly simple cross country travel puts a lot of wear and tear on both man and machine. 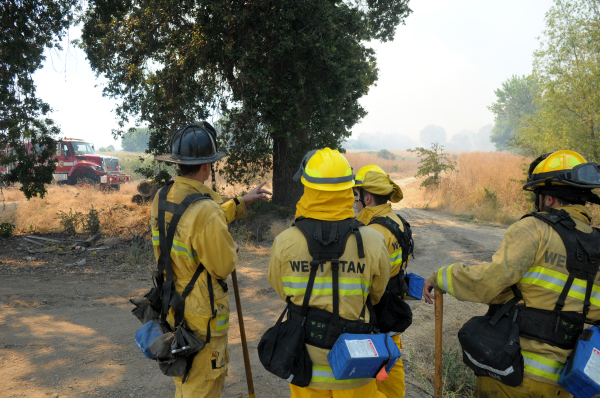 "The fire has done a lot of damage to the equipment," Patterson and West Stanislaus Division Chief Don Armio said Tuesday morning. 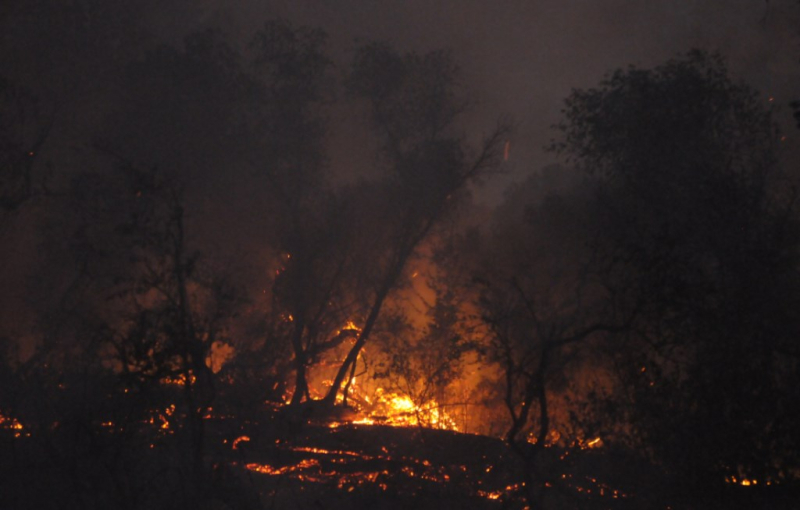 Armio was on the lines throughout the night and had already been out earlier this morning to begin setting up the days' attack on the fire, he estimated that the fire could be near 80% containment now, but that could change to 0% if the wind picked up in a worst case scenario. "We know where the homes are ahead of it, so worst case we'll just put firefighters in front of the houses." 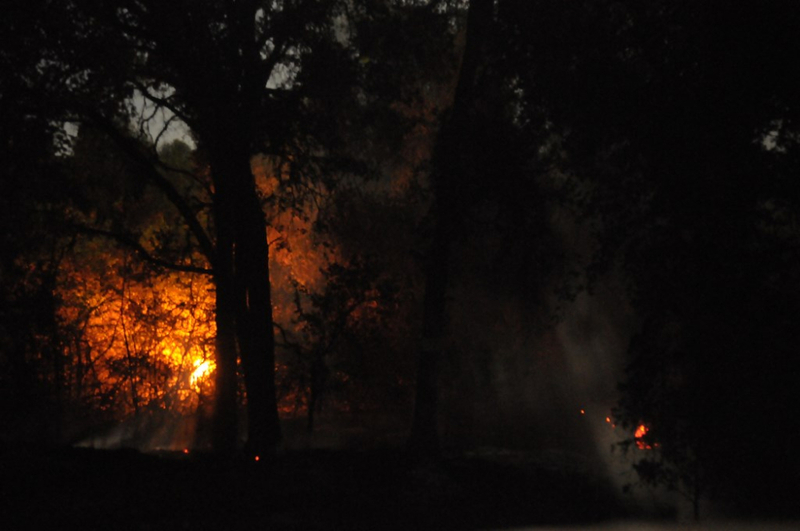 A series of three river side fires along the west banks of the San Joaquin River just south of the town of Grayson, has kept fire crews from 12 area fire agencies busy since around 2:00 a.m. Tuesday July 5. 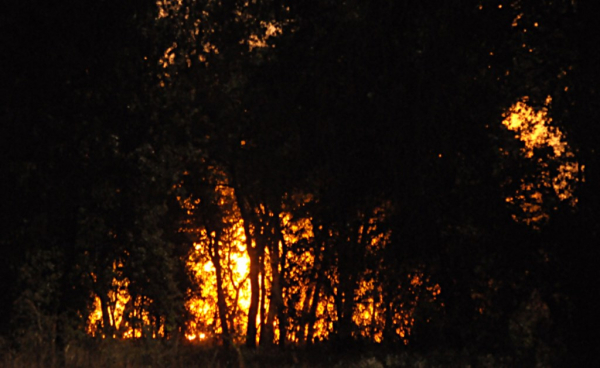 Over 265 total acres of thick riprarian brush land has burned from the three fires. 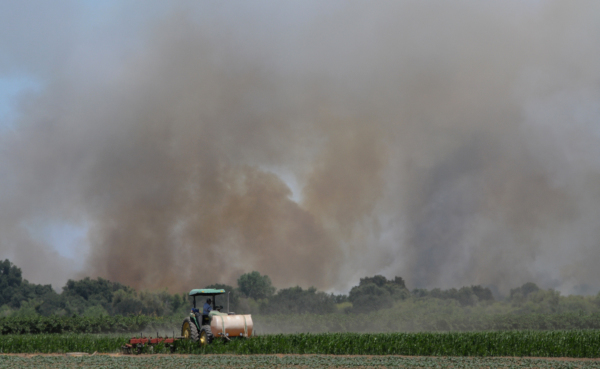 The main conflagration has burned 200 acres at 20 percent containment, and another 60 acre fire is at 80 percent containment as of 5:00 p.m. Tuesday. 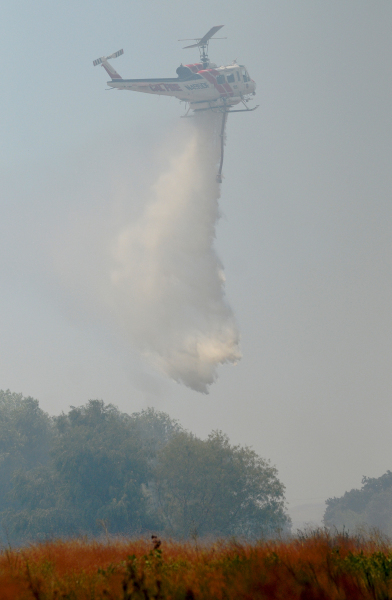 Firefighters had control of the brush fire at a couple different points during the day, utilizing the assistance of a Cal-Fire helicopter to drop water from above, and a bulldozer to help cut fire lines on the ground, but gusty winds pushed the fire across containment lines and into nearby fallow fields with thick overgrowth. 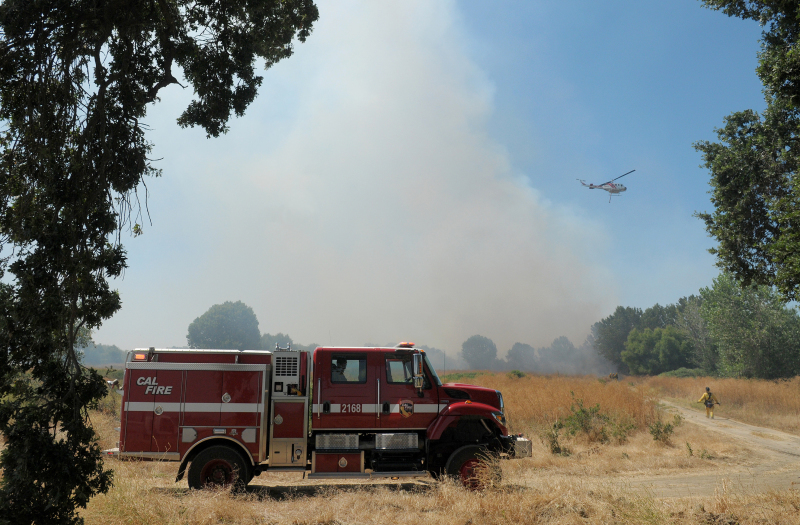 Firefighters from Stanislaus Consolidated, West Stanislaus, Modesto, Ceres, Westport, Hughson, Mountain View, Burbank-Paradise, as well as Cal-Fire, were still on the scene hard at work during the heat of the day Tuesday afternoon. 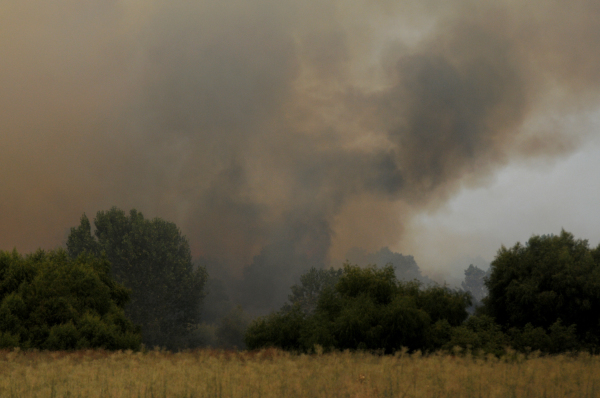 Firefighters could be seen lighting back fires throughout the afternoon, and are hoping to get 100 percent control of the fires by tonight and will remain on scene cleaning up any flareups. 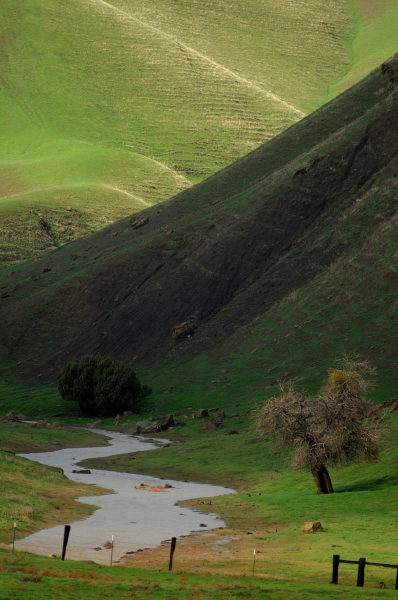 The plot of land bordering the river where the fire began, is known as the Houk Ranch, and has been the site of the Historical Horse Ride held by the Patterson Historical Society in previous years. Fireworks are the suspected cause of the fire. No homes have been threatened at the time. 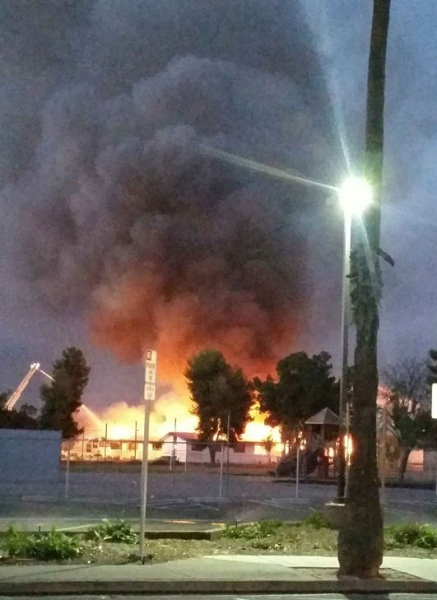 Patterson's defunct Del Puerto Hospital went up in flames at the property on the corner of E and 9th Street early Tuesday morning July 5. Fire crews from Patterson Fire as well as Ceres Fire were on scene with engines and ladder trucks and manpower to keep the flames under control. The small 40 bed hospital, built in 1941, closed its doors to the public in 1988. Plans to refurbish the site to be utilized as a long term care facility were stalled when the presence of cancer causing asbestos was discovered throughout the facility. With the costs of removing the asbestos being an unexpected hindrance to the developer, the project was eventually forgotten and the building boarded up. In the years that followed, local law enforcement agencies would be called to the scene to deal with transients and homeless that had found ways into the abandoned facility where, by this time, had been removing any copper wiring or piping to be sold as recycling. 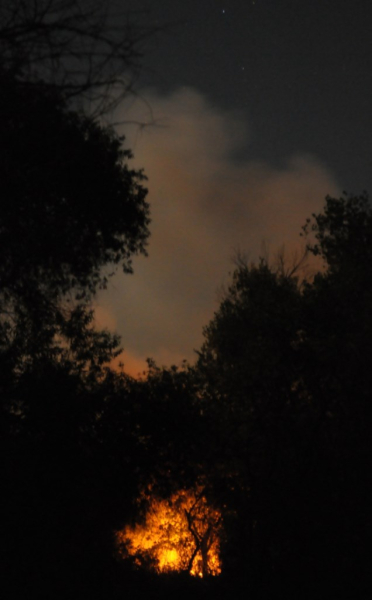 Repeated efforts to keep the vagrants from the property seem to have failed as it is suspected that the fire is the result of this vandalism following one of the most impressive displays of illegal fireworks that the city of Patterson has ever seen to date. Newly appointed Patterson City Council member Dr. Peter LaTorre, who delivered hundreds of Patterson babies between 1972 to when the hospital closed in 1988, was sad to see it go, but recognized that it's usefullness as a hospital was long gone. 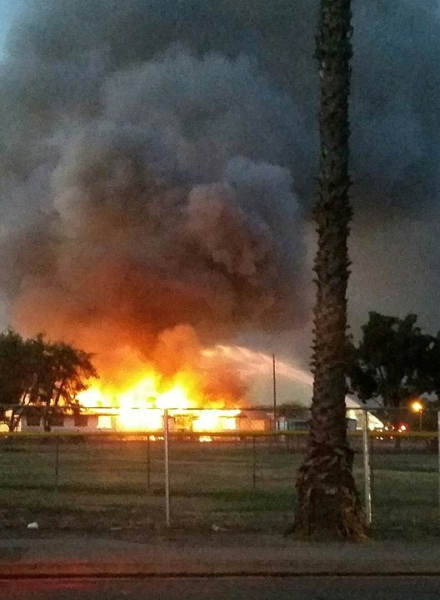 "It was an old building that was beyond its usefulness, it's a shame that it burned down. It needed to come down some day, but it is unfortunate," LaTorre said after learning of the news Tuesday morning. "I certainly missed the hospital when it closed in '88, with all of the things they tried to do it was hampered with the asbestos, and there was nothing in it for modern technology and the piping and wiring needed to be replaced," LaTorre recalled. Acting Patterson Fire Chief Jeff Gregory reported that the Patterson homeless population had cut holes in the floor of the hospital essentially creating "booby traps" making it difficult to assess the situation. According to local authorities, some names of local transients have been supplied and they are further investigating the matter. While it seems that some members of the local homeless community are already being targeted for starting the suspicious fire, at least one local member of the community, gave a different take on the matter. 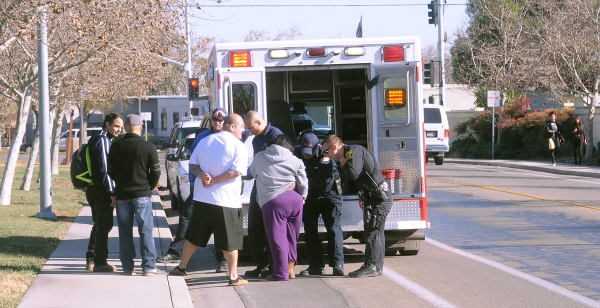 According to him, the local Stanislaus County Sheriffs allowed the local transient community to take up residence in the former hospital and recommended they take shelter there from the cold. The local man, who wished to remain anonymous, said that he was, "stopped several times two years ago and was asked why didn't he stay there (the hospital) if he was homeless?" He said that former Patterson Deputy Hudson as well as other deputies at the time told he and other homeless at the time to take shelter during the winter months in the old hospital and other vacated buildings in the area. The man also said that many of these homeless will be afraid to speak up about this fact since they feel that the deputies will continue to harass them more for saying that the deputies said for them to go there. 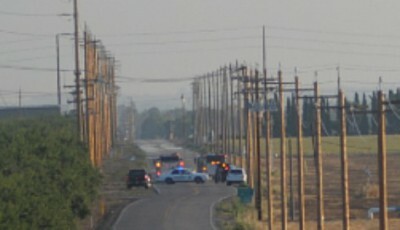 Patterson first responders are currently on the scene blocking traffic from entering the West Marshall Road area after an apparent gas leak ruptured along the roadway near the road's intersection with the Delta Mendota Canal. 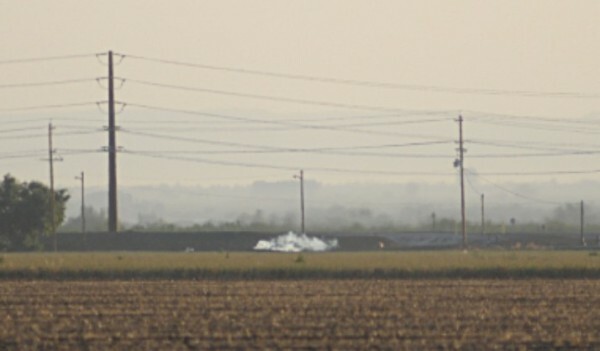 The loud sound woke many up in Patterson Sunday morning as many heard what they thought sounded like a jet landing at the former Crows Landing Naval Base. 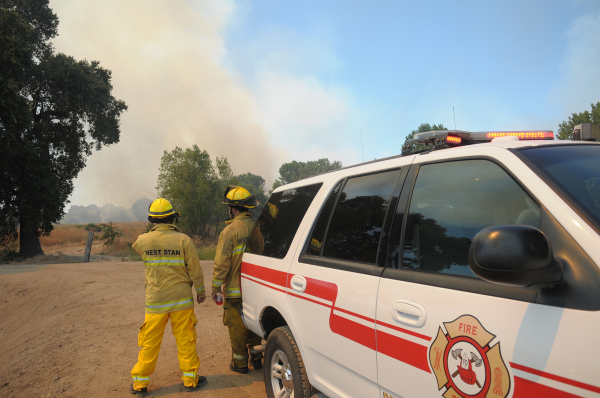 The Patterson Volunteer Fire Department, who have been helping to block the roadways, have reported that they are waiting for PG & E to assist on the scene. The roads are blocked at W. Marshall Rd and Hwy 33, Ward Avenue near the T.W. Patterson Sports Park, and Ward avenue at Oak Flat Road. Please avoid the area to let our first responders work safely. Patterson High School graduated the class of 2016 Thursday, but an evening that should have ended with celebration and praise was cut short after a brawl and a resulting shooting left hundreds of ceremony attendees in a panic and fled Patterson Community Stadium for their safety. This evening after the Patterson High graduation, at approximately 9:30 p.m., there was a fight with multiple combatants in the high school visitor parking lot near Salado and 7th Street. 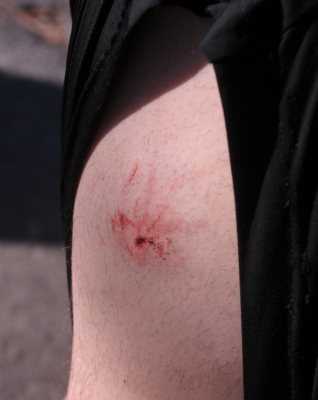 The fight spilled onto the street where shots were fired into the air by one of the individuals involved in the melee. Fortunately, no one was hit, but emergency responders provided medical treatment to two individuals injured in the melee. The incident did not involve our graduates or participants in the graduation ceremony. Unfortunately, it did cast a pall over what was a joyous event for our seniors and their families, as graduates were gathered at the practice field when the incident occurred. Sober Grad Night will continue as planned, and we hope that our graduates will continue their celebrations with family and friends. Wave of storms to bring "Pineapple Express", has El Nino finally arrived? After one of the warmest February’s on record, The West Side of Stanislaus County is finally bracing for the impact of a set of storms that the state has been anxiously anticipating since California’s drought began four years ago. 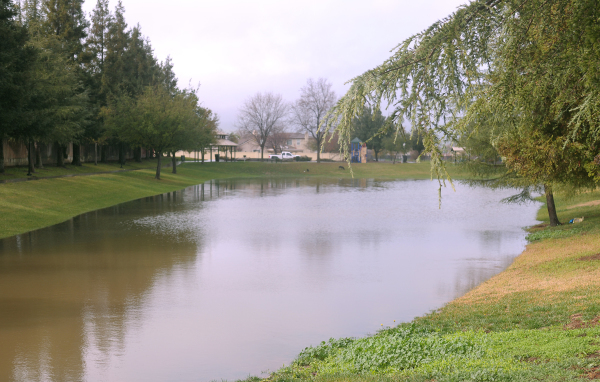 Rain finally came to the Central Valley and the West Side of Stanislaus County and The West Stanislaus Irrigation District reported 1.5" of rain fall from Friday Saturday and Sunday at their official rain guage in the Grayson/Vernalis area. 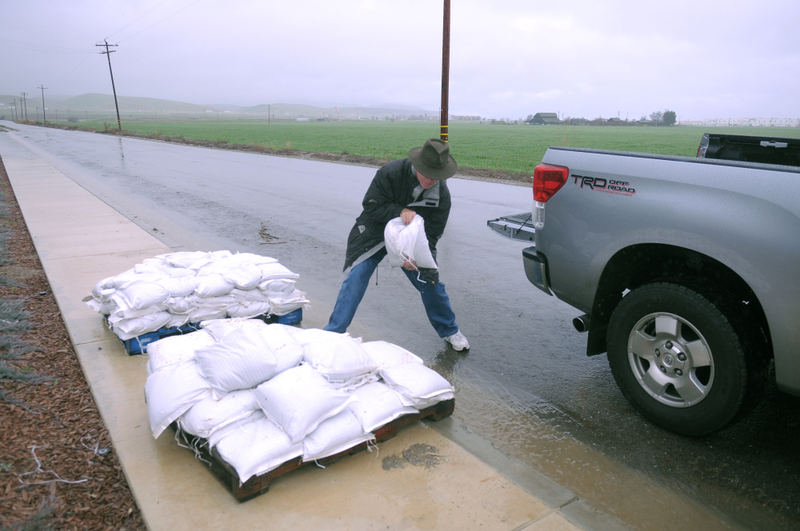 Localized flooding was kept to a minimal however, some folks could be seen grabbing sand bags from the City of Patterson's Corporation Yard at 16215 Baldwin Rd. 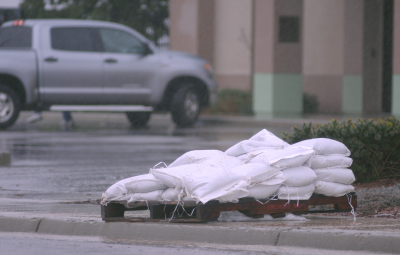 during the recent rain storms, putting sand bags into the back of trucks or into the trunks of their cars. 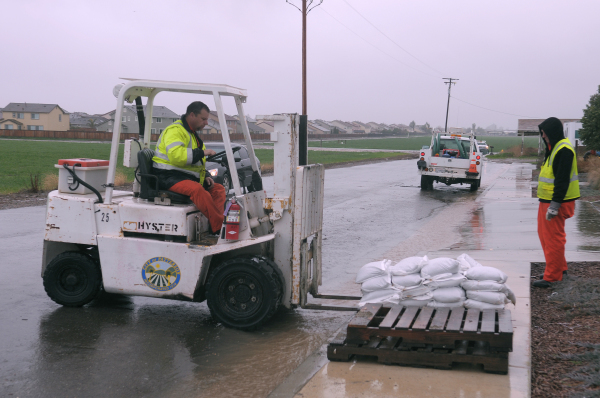 City crews could be seen using forklifts to bring pallets full of sand bags out from behind the fence and out to the street for folks to take as they need, and will continue to make them available during the week as the next few waves of precipitation head for California later in the week. 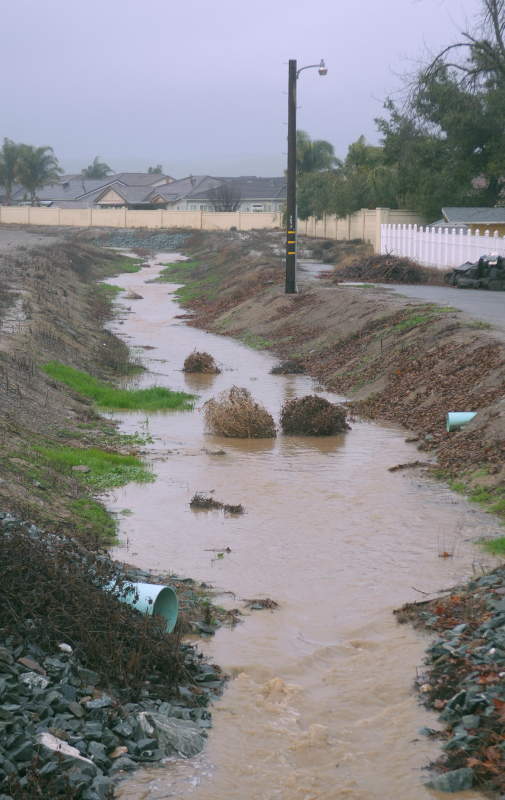 Area creeks could be seen running at full capacity in Del Puerto Canyon as well as from Salado Creek as it ran through Patterson along American Eagle Avenue. The warm series of storms which formed an atmospheric river also referred to as a "pineapple express" dropped 6-12 inches of rain in some areas and more than four feet of snow in the Sierra Nevada. Rain in the West Stanislaus County area can be expected Monday afternoon, but a break in the action Tuesday will resume again Wednesday and Thursday. 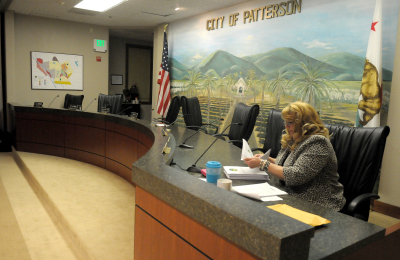 A handful of concerned Patterson residents approached the dais during the public comment period of the regularly scheduled meeting of the Patterson City Council on Tuesday February 2.,to ask for an update regarding the recent rash of Patterson shootings. “By way of update, there have been two shootings in the city since Sunday night,” Chief Jeff Dirkse explained to the council chambers. “The one on Sunday night was a homicide. One person is dead and another person was wounded in that. The person who was wounded is stable undergoing medical treatment at this time. The shooting last night, another person was wounded in that shooting. At this point it is not a public safety threat, I can tell you that much. We are investigating it, and doing our job with that, and we can probably provide some more updates in the future, but at this point I’m not going to say anything about where the investigation is heading. “There was one shooting where someone was shot, and another shooting where a vehicle or something was hit, not a person,” Dirkse said in reference to a Zinnia Ct. shooting that left two vehicles and a residence struck, but no reported injuries. “Are we going to get a police station or not?” Daniel Cruthis from Moray Way in Patterson bluntly asked the council during the public comment period. “We have law enforcement,” Mayor Molina replied. “We have law enforcement, but we do not have anybody here,” Cruthis quickly responded. “ You can literally commit a crime and be out of town before the cops are here. You can shake your head no, but I moved over here from the Bay Area to get away from the crime. And I understand that where ever I go there is going to be crime, break- ins are going to happen, shootings are going to happen, whether it’s natural selection or it is what it is, it’s going to happen. I understand the change in the prison system, the problem is that they (criminals) know they’re not going to do hard time right away for a repeat offense,” Cruthis said. Councilman Farinha interjected with a point of clarification regarding the comments about a city police department. “Most of the time crime statistically doesn’t happen during the day… and it would be nice to see a cop drive by my house at 11:30 at night. If we could have a little more presence in the evening and early morning hours it would deter a lot of [criminals]. The problem is that crime is like water, it seeps to the lowest point when it is soft. So my question is, do we want to be the lowest point and soft, or would we rather deter them (criminals) from coming here in general,” Cruthis said to the council. We are proactively engaging the criminal element in this city. Crime in this city is at its lowest rate statistically in the last five years. Council has been provided with those statistics, we can share them with you if you’d like and that is a fact. There has been a downward trend in the last five years. Regardless of who polices this city, there will still be crime here whether it is the Sheriff’s department as your police force or a Patterson Police department, there will be crime in this city. This is not a staffing issue, as your chief I will tell you that I have adequate staffing. It is a crime issue and there are criminals who are intent on committing crimes against each other. So with that being said, as we specifically look at some of the gang problems, and these are gang related incidents, gang crime is not a law enforcement problem, and it is a community problem. It is something that we all have to solve. What I would ask, with the audience here is that if you have opinions or thoughts on how we can fix this gang problem, because Patterson has a gang problem. Farinha chimed in saying that the Sheriff’s department is enforcing the same penal code that a city run police department would enforce. Councilwoman Deborah Novelli also chimed in saying that she feels confident with her chief right now, and urged folks to write their legislators regarding repealing AB 109 which has provided significant challenges to law enforcement since it was passed. Bill Oxenrider from Orkney Dr. approached the dais to reflect on what some of the citizens had to say about the past two night’s violence. “You know that social media is far ahead of us. There were people going to bed last night already complaining that the police department hadn’t solved the crime that happened just last night, ‘cause that’s how fast things work now a days and the city council and police department need to be sensitive to that. We should have gotten a response or it would have helped to have gotten a response from the Chief sooner, maybe a public announcement. ‘Yes we are aware of what happened, we have things under control and we are working on it, rather than ‘police aren’t releasing information at this time’ people here are used to a quiet town, we don’t take these things lightly.” Oxenrider went on to ask Chief Dirkse since he stated that there was already enough staffing, and that staffing wasn’t an issue, would the Chief not be seeking additional personnel or resources. “I will never turn down staff or toys,” Chief Dirkse responded, which evoked laughter amongst the council and staff. 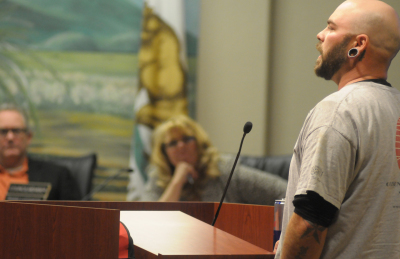 “Just so everyone understands, we do take these things seriously, and if we could get faster feedback when things like this happen it would be appreciated,” Oxenrider said before heading back to his seat. “I will tell you up front that I know a lot more about both of these incidents that I am willing to tell you. But because it is an ongoing investigation… there is only so much that we can release. I do understand what you are saying about the social media thing, as far as getting updates out quicker. I will acknowledge the fact that most of our social media folks do work during the day, that is changing. My sergeants are all going to social media training so that they know how and when and the type of appropriate message to put out, so that we can at midnight at two in the morning or what not, and we are not there yet, and I acknowledge that. Patterson’s Amanda Hillsdale approached the dais saying that she sat down and talked with Chief Dirkse for 45 minutes on Tuesday Feb 2 where Dirkse told her that the city is too small to support its own police department, but she told the council that in the future the city should move to a hybrid city and county law enforcement system. While the council was working on approving the consent calendar items on the agenda, Councilmember Lustgarten brought up concerns in regards to the December 1st meeting. 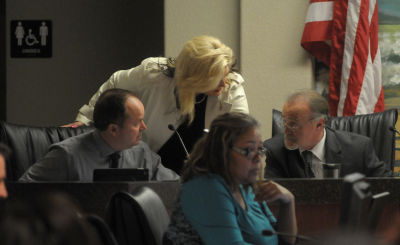 She stated that the council reported out of closed session that the city council confirmed reopening the restraining order against herself and sought to remove Lustgarten from office during the closed session of that evening. The paper work was filed for that court document with a time stamp from the courts placed on the document at 3:09 p.m. three hours prior to when the council members were to have supposedly discussed the item, alluding to the fact that the city attorney’s had already proceeded with the action against her without actually seeking consent from the council during the closed session. “I just found it very interesting that you reported out a vote that happened that night at 6 and 7, but the action had already taken place that afternoon at 3 pm. That’s one question that is pretty big in my mind,” Lustgarten said. Councilwoman Lustgarten brought up the desire of having a sunshine ordinance originally looked at by the council about a year ago, to be brought back to the council in time for Sunshine Week in the month of March. “I think I’d like to see us have a workshop, there is a lot of that ordinance that needed to be reworked, not at a council meeting but at a workshop where we won’t spend three hours here hashing it out,” Councilman Dennis McCord said. Lustgarten replied that Mr. McCord as well as the rest of the council had one month to suggest any changes in the previously proposed sunshine ordinance, but no one from the council nor the community had submitted any issues or changes to the ordinance and that the ordinance she proposed contained aspects that have been approved in other California cities with similar demographics. 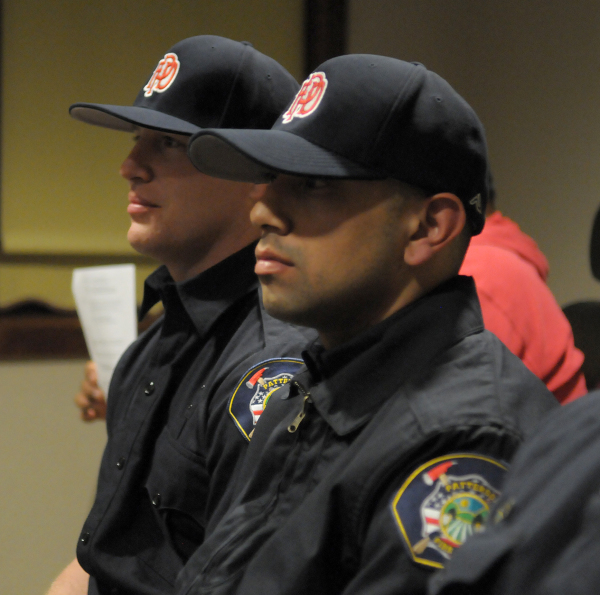 City Manager Ken Irwin announced new city staff including the new finance director for the city, Saadiah Ryan and firefighters Daniel Rodriguez and Steven Kuchac, whose titles are firefighter paramedics. Mayor Luis Molina read a proclamation for Javier Gonzalez’s retirement after 28 years of service to the city, since 1987. 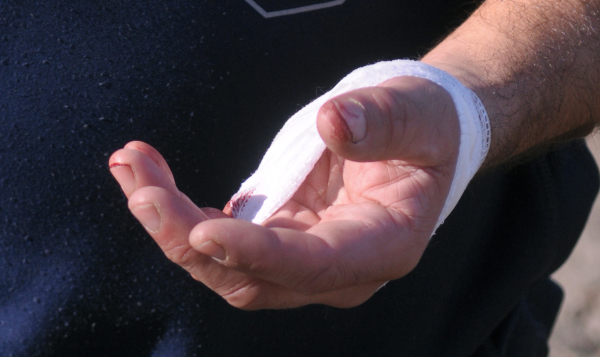 Gonzalez worked with the seniors, parks and recreation, and public works over the years and continued to work for the city after having to have part of his foot amputated after sustaining a spider bite from a brown recluse. Gonzalez was glad that then Parks and Recreation Director Adrienne Chaney offered him a new detail with the Parks and Recreation department in order to keep him employed, which fulfilled his desire to keep working despite his disability. His family, who was also in attendance, said that his disability hasn’t slowed him down, and that it is hard for them to keep up with him at times. Gonzalez received a standing ovation from everyone in attendance at Tuesday ‘s council meeting and will remain as a liaison and part time worker for the city in the future. Council was presented with the 2015-2023 Patterson Housing Element of the General Plan. State law requires cities to renew their housing elements every eight years and must address the following. A PowerPoint presentation put together by city staff regarding the housing element did not play, and the city agenda packet showed for 11 potential rezone sites around the city, however these maps were left out of the packet. Despite the holes in the presentation given by Ted Holzem of Sacramento based Mintier Harnish planning consultants, and a couple of comments about NIMBY-ism (Not In My Back Yard) by Councilmember Farinha, council members were pleased with the presentation and the work put in to the State required housing element and passed the item 5-0. Robert Andrade with the city’s Public Works department gave a presentation regarding the seasonal need for the abatement of nuisance mistletoe from trees throughout the city of Patterson. A total of 32 addresses with nuisance mistletoe was presented. The item passed 5-0. A provision in the amended Ordinance 789 states that the City wishes to establish a new and more defined approach to city council meetings to avoid conflicts with scheduling and encourage citizens to attend regular meetings. Despite the desire to avoid scheduling conflicts, the proposed changes in the ordinance seemed to have created more scheduling conflicts amongst council members. “I really can’t attend the second and fourth Wednesday’s of the month, I have a prior requirements which I will keep, so that doesn’t work for me. I am flexible to do the first and third Wednesday’s of the month.” Councilman McCord said when the item was brought up. Councilman Farinha, who was the most outspoken proponent of changing the meeting dates, said that this item had been brought up before, however, the other councilors could not recall a previous discussion on the topic. Councilwoman Novelli was ok with a change to the first and third Wednesday with the caveat that the agenda would still be made available on the Thursday prior to the meeting. Mayor Luis Molina brought up that the third Wednesday of the month at 6:00 pm is when the Stanislaus Council of Governments (StanCOG) meets in Modesto. Molina stated that he is the council’s representative to sit on the StanCOG meetings and would not want to see a vacancy on either the City Council or StanCOG created due to this scheduling conflict that would be created if the council’s meetings were changed to Wednesdays. While City Attorney Tom Hallinan stated that changing the day to Wednesday would give staff an extra day to answer questions of the council members, Councilwoman Sheree Lustgarten suggested that staff just work to get the agendas out earlier so as not have to change the meeting dates. Mayor Molina was concerned that there wasn’t enough discussion from the public on this item and that this was a serious change being proposed. Following the public comment period on the item, Councilwoman Lustgarten suggested bringing the item back for further analysis and Councilwoman Novelli seconded that motion. 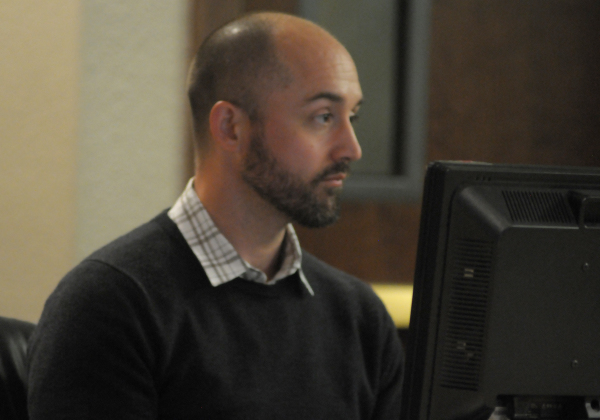 However during the discussion regarding that motion, councilman Farinha interjected again, “I think the staff report is pretty clear, there are a lot of other matters that require more deliberation, but I think this one does not require more time. 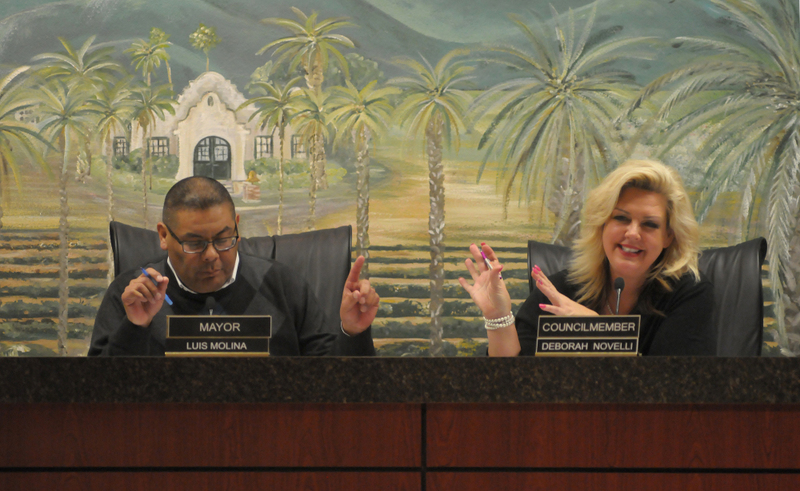 I would advocate that we experiment with this for awhile.” At that time Councilman Farinha made a motion to change the meeting dates to the first and third Wednesdays which Mayor Molina briefly entertained. After a minute passed without a councilmember seconding Farinha’s motion, Councilman McCord brought up the fact that Councilwoman Lustgarten originally had a motion on the table to bring the item back for further analysis. “What extra information were you hoping to get?” Farinha asked Councilwoman Novelli. “Just want to look at various options, and see what other options there are with StanCOG,” said Novelli. “I don’t think there are,” Farinha replied seriously. “Well Dennis can’t make it because of Lions, let’s go talk to the Lions Club,” Novelli said half jokingly to ease the seriousness of the matter. “I would really like to know, I can’t believe that it was just a conversation that this became an agenda item,” Mayor Molina said. “Regardless, we’ve had just two (public) comments tonight.” Molina went on to speak of the importance of showing up to the StanCOG meetings regarding the allocation of funds in relation to a county wide ½ cent sales tax. The City Manager Ken Irwin did not say anything in regards to this item during the meeting. The item was tabled on a 4-1 vote with Councilman Farinha dissenting, and will return before the council during the February 16 meeting of the city council. The city announced their selections of Chichi Jack, Vivian Ratlife, and Calvin Love to the newly formed Parks and Recreation/Beautification Committee, and announced that the Patterson Joint Unified School District chose Rob Cozart and Elias Funez as their selections to fill the five member board. Alternates for the board were initially suggested, however, no names were brought forth by Mayor Molina. Mayor Molina, and Councilman McCord of the City Council as well as James Leonard and Carlos Fieros from the school district, sat on the interviewing panel. 11 candidates were interviewed for the position. 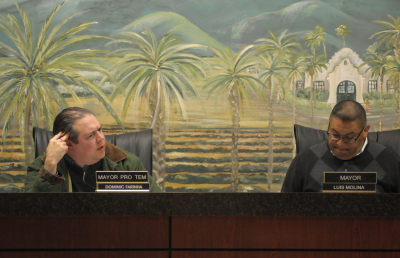 Meetings will be the third Wednesdays of the month, the first meeting of which is slated for February 17, to be held at 5:00 p.m. at Council Chambers. Councilwoman Lustgarten suggested that the next person in the rotation to receive the Mayor pro-tem designation would be Councilwoman Novelli. 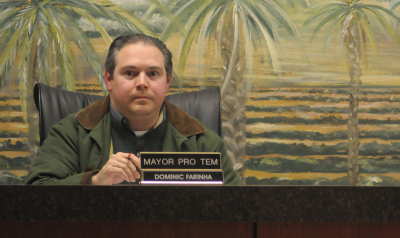 The council reached a quick consensus on the matter and Councilwoman Novelli will take the Mayor pro-tem designation from Councilman Farinha. Mayor pro-tem sits as the acting mayor of the city in the absence of the mayor during council meetings. Mayor Molina announced that he will not be seeking re-election to the city council as Mayor, stating that he will be giving his final state of the city address on Monday February 29th at either City Hall or the Hammon Senior Center. The location of that meeting will be announced at the February 16th meeting of the City Council. Mayor Molina reported after an hour and a half special closed session meeting of the council on items regarding a) anticipated litigation, b) City Manager performance evaluation, and c) Conference with legal counsel regarding the existing case of the City of Patterson vs. Sheree Lustgarten. Mayor Molina reported that they gave direction to staff regarding the items. Councilwoman Lustgarten was excused from the closed session meeting for item c). Community volunteers with area churches approached the dais during the public comment period at the beginning of the regularly scheduled meeting to address the need for the city to address the funeral processions in the city. Mark Kuhn of Hillview Funeral Chapel, Pastor Tim Bennefeld of Golden Valley Baptist Church, and representatives of the Knights of Columbus expressed the need for assistance with funeral processions. It was stressed that out of town folks attending a funeral in Patterson, are not used to the streets, and fear not being able to find the cemetery if the funeral procession gets separated. Others feared for the safety of those in the funeral procession and stated that this could become a liability issue for the city. City Manager Ken Irwin stated that this item will be on the City Council’s agenda on the first meeting in March. Jeff Lustgarten, a prominent member of the community and a regular attendee of Patterson city council meetings, was found dead at his home Wednesday December 23, by an apparent suicide. Mr. Lustgarten’s body was discovered by his wife, Councilwoman Sheree Lustgarten, when she went outside in the morning and saw her husband in his vehicle unresponsive, with the windows rolled up. In the vehicle with him was a metal bowl filled with charcoal signaling that he died by asphyxiation from carbon monoxide poisoning, though an official autopsy report is still in the works. The couple had been busy recently packing boxes with their belongings in preparation of having to move from their home by the end of this month due to Jeff losing his job and not being able to afford to pay rent to live in their Patterson home any longer. Jeff Lustgarten lost his job in May of this year, working as a public affairs director for Metrolink rail in Southern California, after his employers were contacted about misinterpreted and false information regarding his involvement speaking up at city council meetings. “They asked him to resign,” Sheree Lustgarten said in a phone interview last week. According to Jeff, the 1-800 numbers to his former work place were called and information was provided to ask him to resign. “They called saying, ‘he was so rude to me,” Lustgarten said. Eventually a copy of Fox News’ segment on the Senior Center investigation and subsequent report, landed in the hands of Jeff Lustgarten’s employers. Since Jeff was vocal throughout the investigation and spoke regularly at council meetings, his name appears in the investigation’s documents. That involvement was used against him, even though a judge basically threw out the findings of the lopsided report. “They redacted everyone’s names except mine and Jeff’s,” Sheree said of the documents sent to Jeff’s employers. Sheree believes that she and Jeff have been targeted by the local political slate for their involvement in bringing to light many of the financial discrepancies that are occurring within the City of Patterson’s management, including the purchase of the City Hall annex building, losing out on tax dollars from Patterson’s distribution centers, gifting of public funds, as well as over 3 million dollars worth of attorney fees that have been accrued by the city attorneys in recent years. Numbers she says should have passed in front of the council, but never did. Despite the Lustgarten’s hardships, Jeff’s demeanor and tone seemed hopeful when members of the Journal spoke with the Lustgartens less than a week ago, and Jeff was looking forward to a promising job prospect that he was currently interviewing for in Oakland. “We’re crossing our fingers,” the Lustgartens had said prior to Wednesday morning’s tragedy. Despite any glimmer of hope, the unfortunate circumstances surrounding the Lustgarten’s lives seemed to have gotten the better of him in the end. 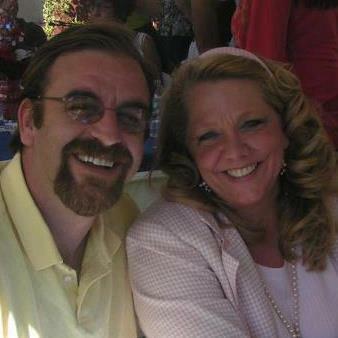 “He felt like he couldn’t take it anymore,” Sheree said of her husband on Christmas Eve. “I told him, ‘If you’re so fed up about this, you need to talk to a counselor’,” Sheree said. Last night, after the coroner left the house, Sheree spent most of the day calling her relatives and friends. “I’m sitting here thinking what to do next?” Sheree said audibly distraught on the phone. For those that knew Jeff, he was remembered as a person who was not afraid to stand up for what he believed in. At council meetings, he spoke respectfully and factually. “I think we lost a good spokesperson,” Reyes Cuellar, the widow of the late Councilman Eusebio “Sam” Cuellar, said of Mr. Lustgarten Thursday. “As far as I’m concerned, they were both really good people. I know he wanted me to be involved, but I told him I’m not that kind of a person,” Cuellar said. Others close to the Lustgartens believe that the community’s lack of involvement in the serious matters that they brought up at council meetings, eventually led to his depression that ended up claiming his life. Jeff Lustgarten is survived by his five step children, his brother Mark, farther Larry, and mother Parry. A go fund me account has been set up for the Lustgarten family to help them through this difficult time. Please check back for an update on this developing story. Recent Patterson shooting victim Justin Bell was seen doing well and in good spirits Friday evening after sustaining a gunshot wound to the leg on the afternoon of Thursday December 18, while walking from a home in Walker Ranch to a local chineese food restaurant to get lunch. When Bell got to the intersection of Shearwater and Henley Avenue in front of Apricot Valley Elementary School he was shot by unknown assailants in a vehicle that drove off immediately thereafter. No descriptions of the assailant(s) or the vehicle was recalled by Bell however. "I just fell" Bell described while utilizing the help of crutches Friday evening in the home of a friend in Heartland Ranch. "I just got shot, I was thinking. What am I going to do? Die?" Bell said. Witnesses were quick to assist on the scene and luckily for Bell, the bullet went in the back of his leg, and out the front without hitting any major arteries. 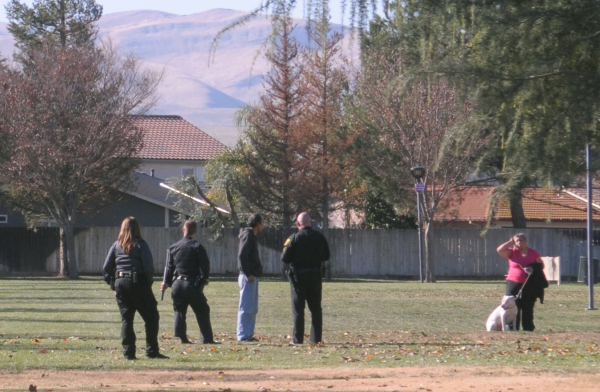 Apricot Valley Elementary School was placed under a precautionary soft lockdown, while emergency first responders tended to Bell near the round a bout at the Shearwater and Henley intersection. 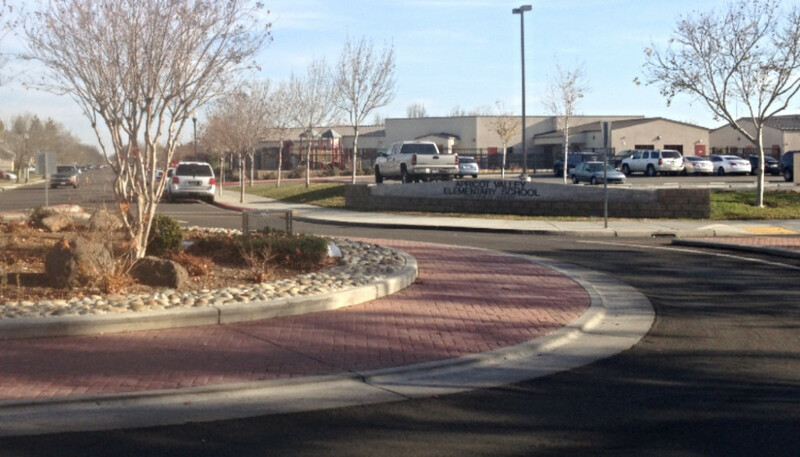 The soft lockdown was lifted by 1:45 p.m. This is the second time that the twenty year old has been shot in the leg. "A lot of people hate on me," Bell said when asked who he thought the assailant(s) might be. The young man was in good spirits when members of the Journal met up with him Friday evening. "Right after I got shot I'm chillin', I'm like... I wanna be hoopin'," Bell described of his will and desire to want to play basketball. Members of the local ambulance and Sheriff's department were on the scene to assist three victims who were bit by three different dogs Wednesday at Sorensen Park near the intersection of American Eagle and Ward Avenues. A woman, and two men both sustained minor non-life threatening injuries after being bit in the hip, thigh, and wrist respectively. They were looked at by members of the Patterson District Ambulance and were informed to have their wounds treated at an urgent care or nearby hospital. Newman's Alfredo Casanova, one of the bite victims, was walking down the sidewalk along American Eagle Avenue across the street from the park when he noticed that a woman was struggling to control three dogs under her posession, one of which had clearly broken its leash. "She was on the floor trying to hold the dog, rolling around on her knees. They (dogs) were fighting " Casanova said. 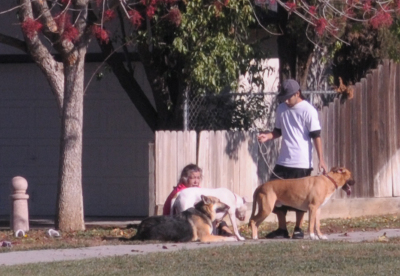 Casanova, along with neighbors of Sorensen Park Vanessa and Jesse Saldivar, who also tried to assist in breaking up the fighting dogs were all bit. Casanova used a breaker bar borrowed from another neighbor from Wanzia Lane to fight off the dogs which were attacking him the front and the back at times. "I was worried cause [the dog] was foaming and going from person to person trying to attack," Casanova said. Wanzia Lane's Jesse and Vanessa Saldivar were on their way to the hospital soon after the injuries while local authorities waited in the nearby park awaiting the arrival of the animal control vehicle. "They took a good two pieces out," Vanessa Saldivar said. According to the bite victims, the dogs will have to be tested for diseases such as rabies, and that report presented to them at a later date. 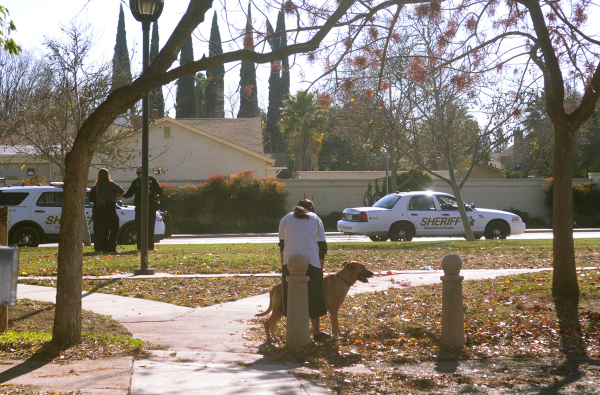 A white pit bull mix, a dark german shepard mix, and a lighter brown mastiff mix, were all involved in the fracas. At one point, the white pit bull mix turned and charged towards a Sheriff's officer when they arrived on the scene. The officer subdued the dog with pepper spray, according to witnesses at the scene.